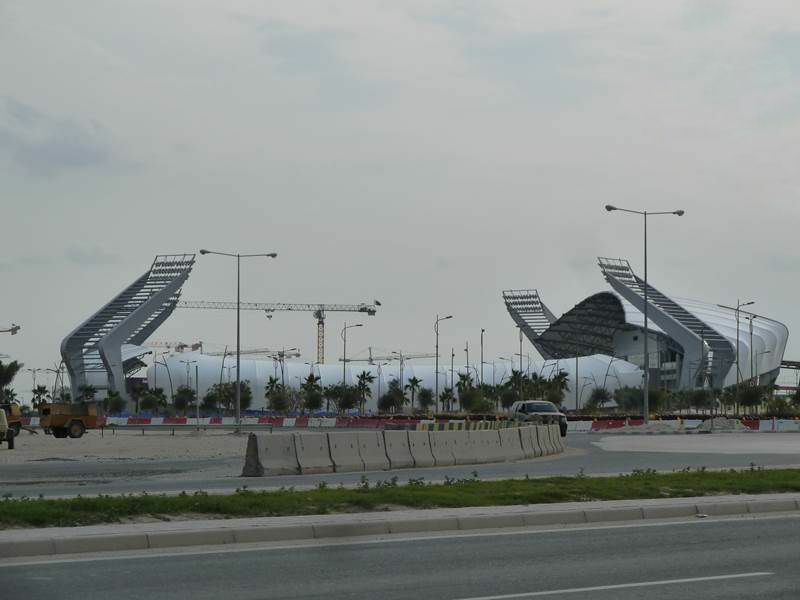 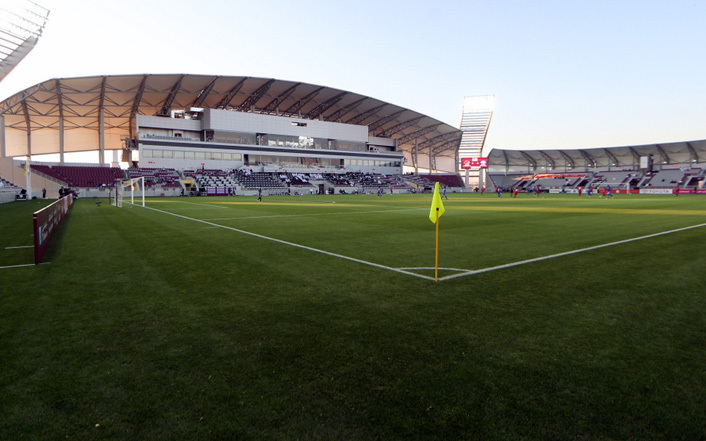 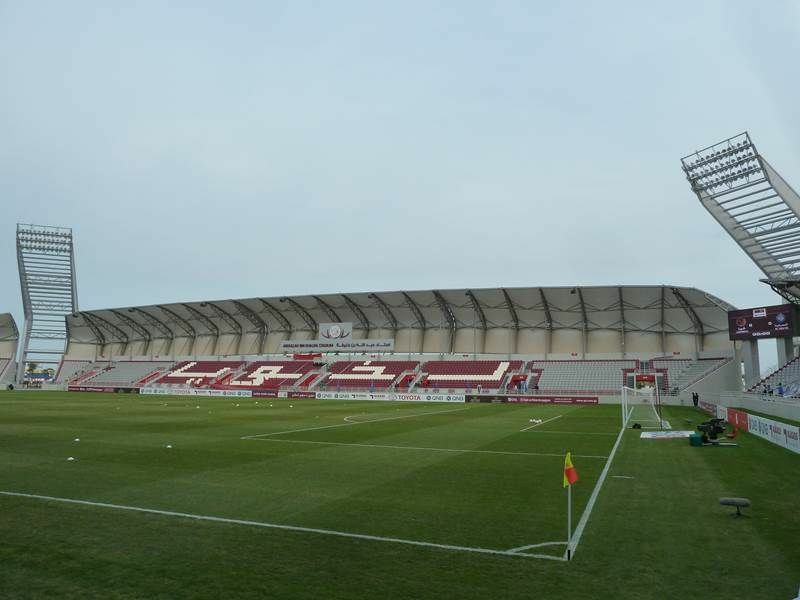 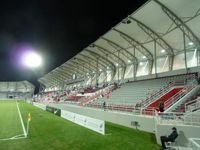 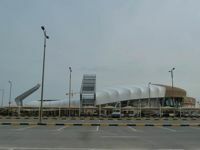 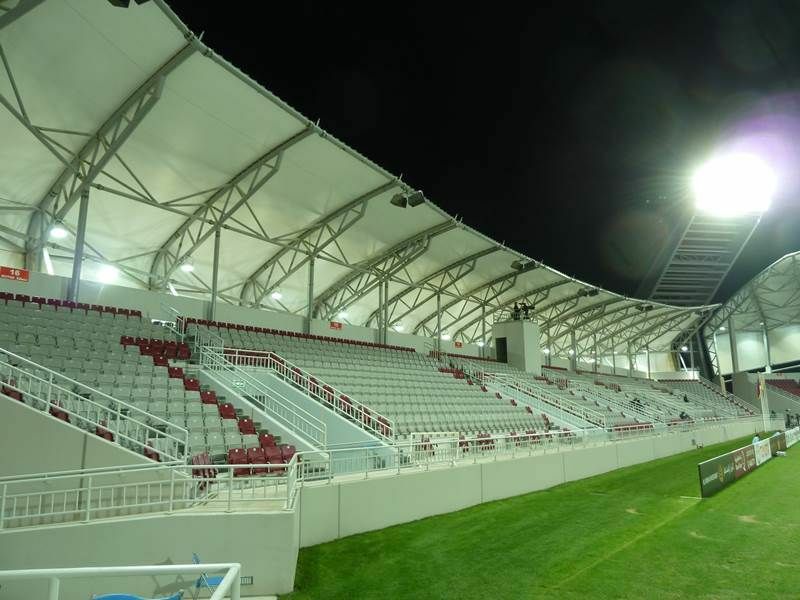 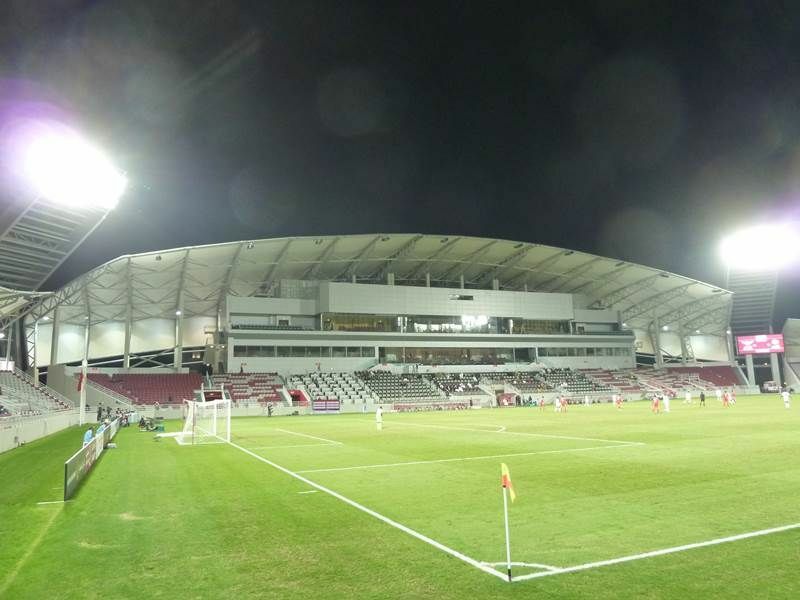 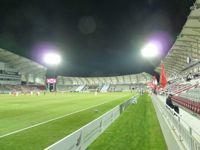 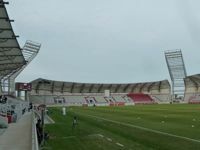 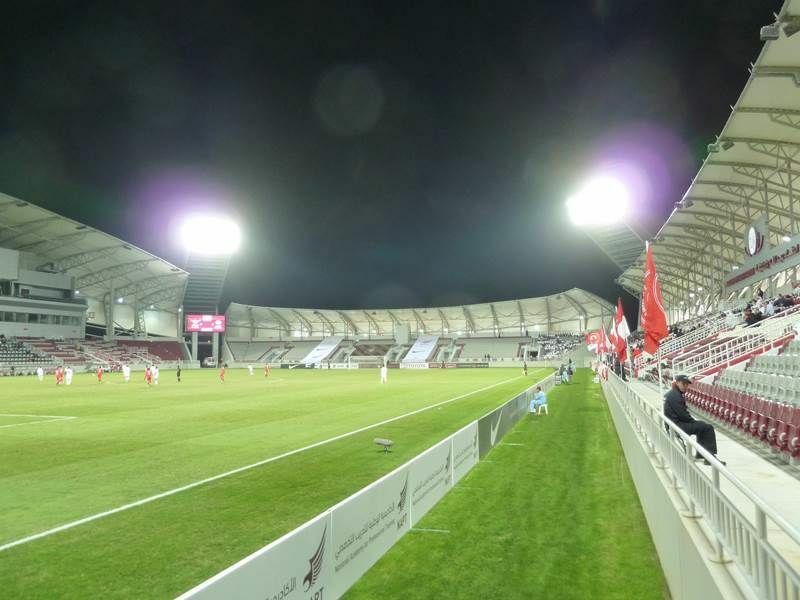 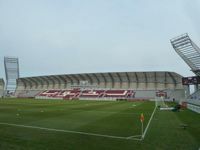 Construction began in 2011 and the 9,000-capacity stadium in northern part of Doha was opened after 17 months, in February 2013. 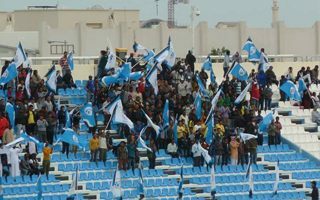 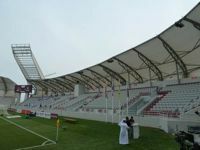 Four independent stands are protected from sun and wind by innovative membrane effectively covering 60% of the maximum crowd. The most distinctive feature, however, are masts standing in the corners and symbolically enclosing the bowl. 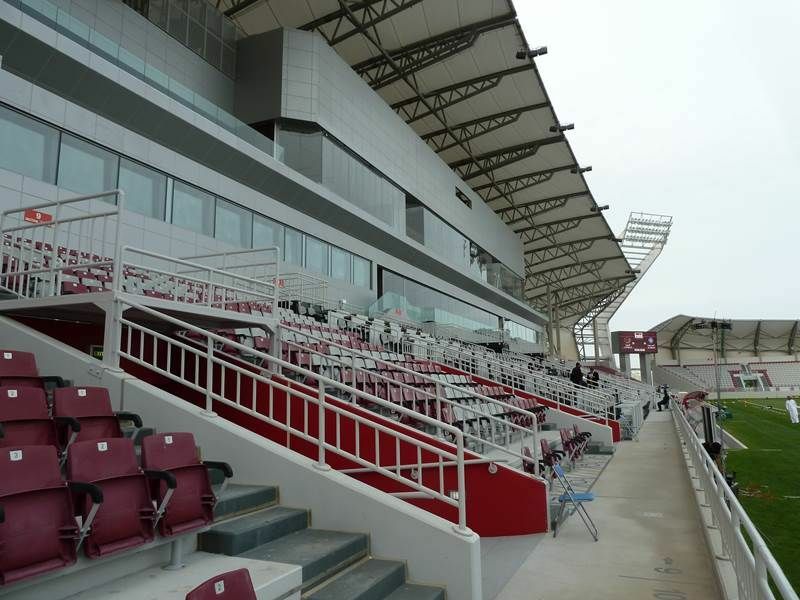 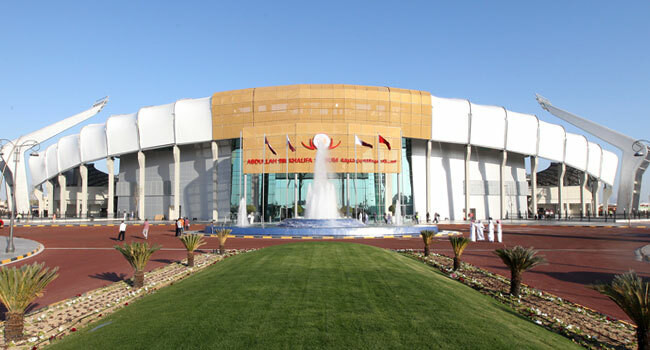 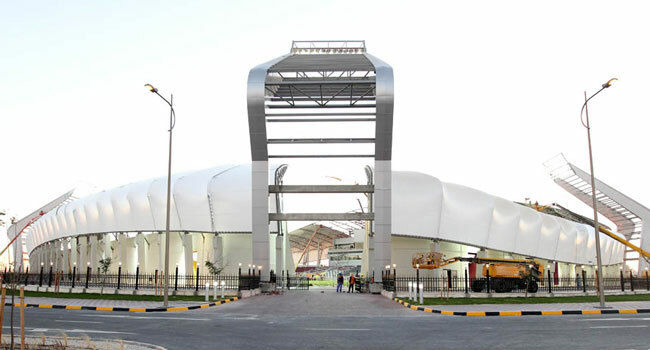 Main stand provides supreme facilities for VIP and VVIP guests, boasting a shaded parking, to name one. 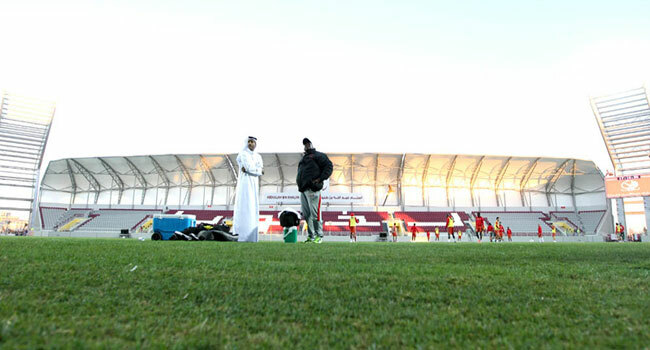 Other spectators are welcome to use numerous surrounding parking lots, among which four training pitches are placed. 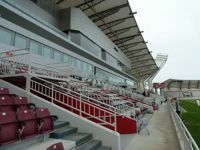 Interestingly, the main stand also has a mosque inside. 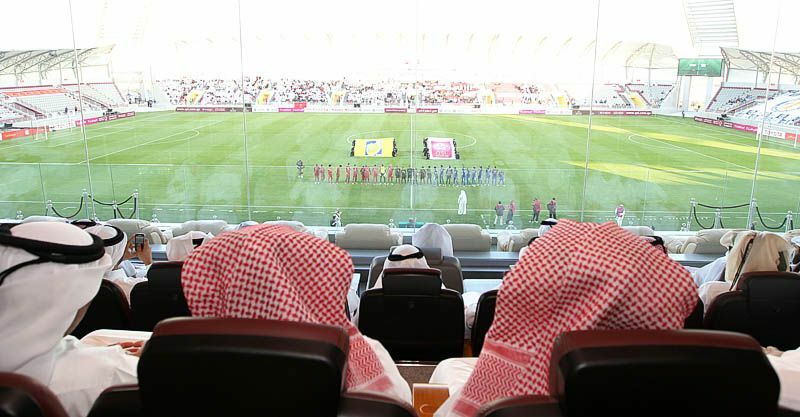 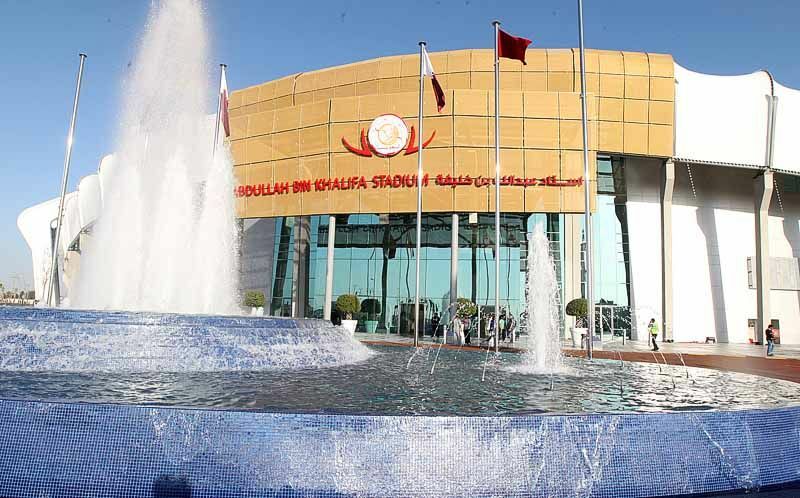 Name of the stadium was dedicated to reigning prime minister, sheikh Abdullah bin Khalifa Al Thani. Foundations are in place to expand the stadium up to 30,000 seats when the fanbase of Lekhwiya grows enough. 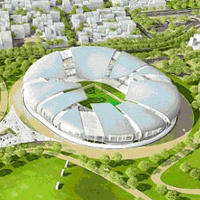 Before that happens, second phase of the development should see a hotel and indoor hall being built along the stadium.